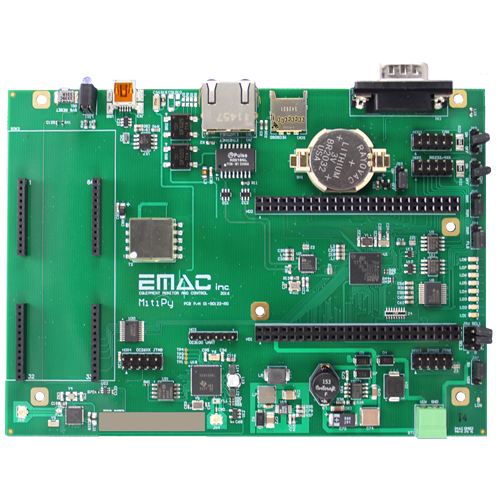 MitiPy™ Industrial IoT Board (Preliminary) | EMAC Inc. Optional Wifi, Bluetooth, Cell Modem SKT w/GPS. 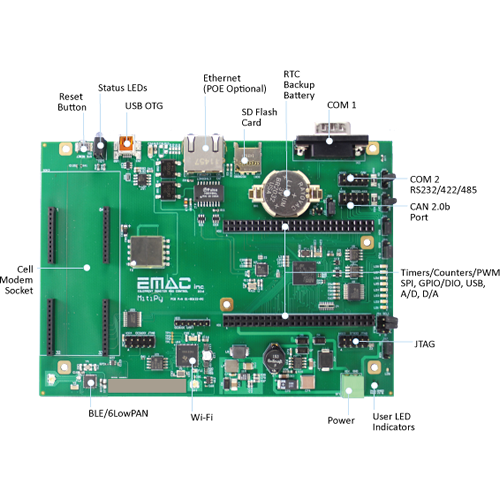 The Mitipy™ Industrial IoT microcontroller was created to simplify connecting devices and machines to the multitude of systems you find in the Industrial environment EMAC Inc. has created an easy to use, cost effective industrial board that can be implemented anywhere from the factory floor to an offsite remote location. The Mitipy™ IoT board provides inputs for sensor integration, legacy serial communication, mesh networking, cell modem, WiFi, and Bluetooth communication. The MitiPy™ runs MicroPython, offering the perfect blend of power and flexibility. The MitiPy is a perfect fit for OEMs manufacturers and machine builders looking to add Industrial IoT functionality to new and existing product lines. ***** This is a Preliminary product page, specifications subject to change! 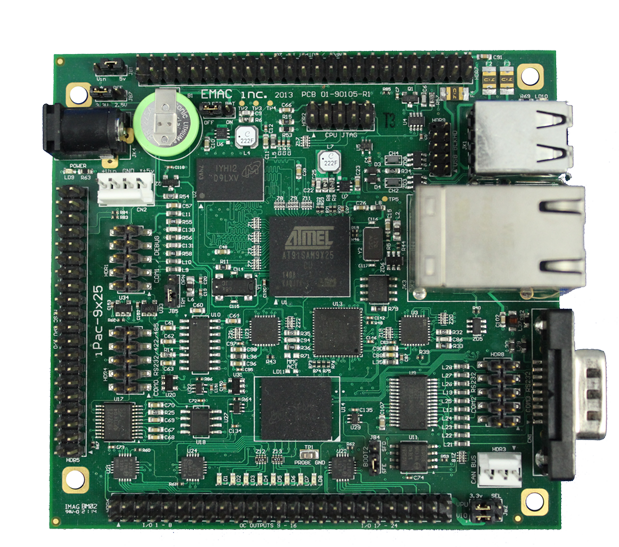 EMAC can build the MitiPy™ Industrial IoT Board (Preliminary) with any option mix you require. Build-To-Order can offer a significant cost savings when only a certain subset of options are needed! 25 piece minimum required.